Do you suffer from food allergies that cause a reaction to peanuts, eggs, or shellfish, or any of a wide range of edibles? If so, help is here. Stanford Medicine in California conducted a study beginning in 2014 that helped advance how food allergy sufferers can be desensitized. There is a world of difference between an allergic reaction to a particular food, and a sensitivity or intolerance toward a food. Lactose intolerance can lead to bloating and discomfort. But for someone with an allergy to milk proteins, exposure to milk (even lactose-free milk) can lead to anaphylactic shock, hospitalization, and even death. Allergic reactions to common foods may account for up to 90,000 visits to the emergency room every year in the United States alone. While research has not been conducted globally, it’s reasonable to assume this number is considerably higher around the world. 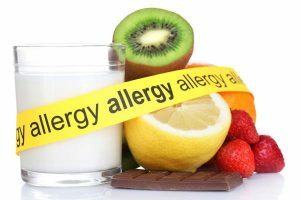 Research dating back to the 1980s showed it’s possible to desensitize an individual to a food allergy, by introducing tiny amounts of the food into their diet. For example, in a patient with a peanut allergy, a minuscule quantity of peanut oil could be added, with the amount gradually increased until the patient can enjoy peanuts by the handful with no reaction. Keep in mind, this should never be attempted without medical supervision, especially if the allergy sufferer is a child. Anaphylaxis can happen within seconds of exposure to an allergen. The problem with the research in the eighties was that it focused on desensitizing a patient to a single food. But many allergy sufferers have multiple food allergies. Consider an individual allergic to shellfish, eggs, peanuts, and wheat. Desensitizing this patient to each of these foods sequentially could take up to a decade. Stanford’s research considered the possibility of desensitization to multiple foods simultaneously. Oral Immunotherapy, or OIT, involves tiny amounts of foods given to patients in their diets. The body gets used to these small, often microscopic, amounts. At this point, the allergy specialist will increase the dose. Stanford’s pioneering work shows that several allergies can be treated at the same time without serious issues. The human body can adapt to more than one desensitization process. And while Stanford’s research focused on children, adults have received similar treatments with considerable success. The treatment that Stanford has pioneered can be difficult. Some patients in the study did experience reactions. But out of 309 treated, only fifteen had reactions severe enough to require treatment with an EpiPen. Of those who did experience a reaction to the tiny amount of allergen fed to them, most experienced hives or a swollen tongue, or other symptoms that were uncomfortable but not life-threatening. Stanford carried out its pioneering work a decade ago. Today, treating multiple food allergies at the same time is relatively common. If you’d like to discuss food allergy desensitization, call our office at (+852) 2523 8044 for an appointment. We can help you set up an appropriate treatment regimen for your food allergies. Also, this type of allergy desensitization is not only for food reactions. Other types of non-food related allergens can be treated the same way.